Buying or selling a home in Baltimore is a big decision. That is why it is so important to partner with a Baltimore Real Estate Agency that will guide you through the entire real estate process with superior customer service. Discover why so many people throughout the Greater Baltimore region trust Blue Star Real Estate with their home buying or selling needs. Baltimore is an amazing city, and we are proud to call it home. Because we love living and working here in Baltimore so much, it makes it easy to help local families and investors buy and sell local properties. So whether you are buying or selling a home you can be sure that you are partnering with the top Baltimore Real Estate Agency in the Baltimore region! 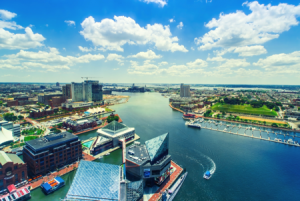 What makes us the top Baltimore Real Estate Agency to work with? Our commitment to customer service. An unmatched partnership between John Keller and Keith French led to the creation of our Baltimore Real Estate Agency. Dedicated to customer service and ensuring that our clients receive unparalleled service in the real estate sphere, has led to a one-of-a-kind real estate agency that has produced top results for both buyers and sellers in the Greater Baltimore Region. It is through this unwavering commitment to customer service that Blue Star Real estate has become the standard in Baltimore when it comes to dedication, tenacity, and teamwork. Contact Blue Star Real Estate today to get started on your next real estate project. If you want to chat real estate or even just connect for a quick coffee, reach out to us any time! – Blue Star Real Estate, your Baltimore Real Estate Agency.